We have a number of ways that you can contact Myrea Pettit and Fairies World and would also appreciate it if you could help promote the site and the fairy and fantasy art movement. Below are links to pages where you can contact us and also links to pages that allow you to promote Fairies World and use some of its content on your own websites. Fairies World have a number of static and dynamic banners that you can use on your websites, Myspace pages, forum signature files and elsewhere on the web. These all help to promote Fairies World and the fairy and fantasy art movement as well as show your support for Fairies World. They also help spice up your website, so what are you witing for, check them out and spread the magic of Fairies World. In addition to our banners we have a number of mini-galleries that you can add to your own website. 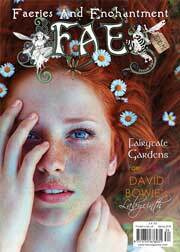 This page provides instructions on how to spice up your site with images from the Fairies World Galleries. 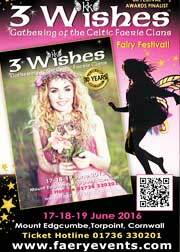 Use this page to contact us if you have any questions, queries or ideas for Fairies World. We look forward to hearing from you. Use this page to send messages and feedback to Myrea.